There are 2 posts filed in Writing (this is page 1 of 1). The use of e-mail in corporate culture is ubiquitous. I rarely get letters anymore. Even phone calls are uncommon. But I get scores of e-mail messages every day. Yet, I am continually surprised at how people often misuse this medium. Understand the difference between “To” and “CC.” As a rule of thumb, the more people you send an email to, the less likely any single person will respond to it, much less perform any action that you requested. The people you include in the “To” field should be the people you expect to read and respond to the message. The “CC” field should be used sparingly. You should only CC people who have a need to stay in the know. The “BCC” field should be used even more sparingly. People you include in the “BCC” field will not be visible to others. Reply in a timely manner. I don’t think e-mail demands an instantaneous response. Responding once or twice a day is sufficient, unless you are in sales, customer service, tech support, or some other field where a faster response is expected. Regardless, you must reply in a timely manner, otherwise, you will incrementally damage your reputation and decrease your effectiveness. Be mindful of your tone. Unlike face-to-face meetings or even phone calls, those who read your e-mail messages don’t have the benefit of your pitch, tone, inflection, or other non-verbal cues. As a result, you need to be careful about your tone. Sarcasm is especially dangerous. If something gets “lost in translation,” you risk offending the other party. The more matter-of-fact you can be, the better. Don’t use e-mail to criticize others. E-mail is a terrific way to commend someone or praise them. It is not an appropriate medium for criticism. Chances are, you will simply offend the other person, and they will miss your point. These kinds of conversations are usually better-handled face-to-face or, if necessary, over the phone. Especially, don’t use e-mail to criticize a third party. E-mail messages live forever. They are easily forwarded. You can create a firestorm of conflict if you are not careful. Trust me, I’ve done it myself more than once. Don’t reply in anger. It almost never serves your purpose or long-term interests. 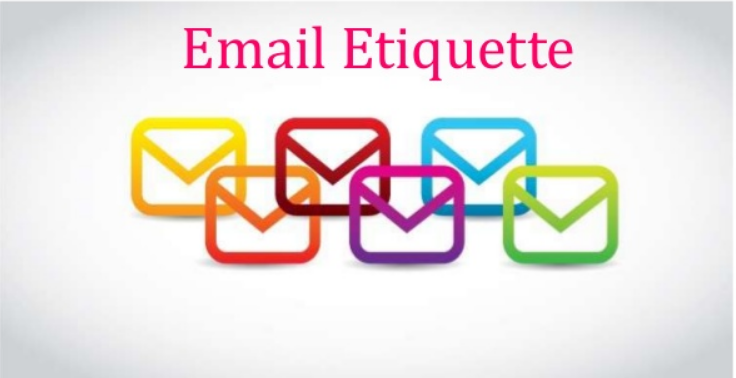 Don’t overuse “reply to all.” Last week I received an e-mail from human resource team who needed to know my interest and other minute details about an event. He sent the e-mail to about ten or twelve people. No problem with that. However, some of the recipients, hit the “reply all” key (out of habit, I am sure) and sent their interest & minute details about their taste and type to everyone on the list. This, of course, just adds more clutter to everyone’s already unwieldy inbox. Your default response should be to reply only to the sender. Before you reply to everyone, make sure that everyone needs to know. Don’t forward chain letters. These can be forgiven when they are from your mother, but they only add clutter in the workplace. Nine times out of ten, the information is bogus. It is often urban legend. If you feel you absolutely must pass it on, please make sure that it is valid information. Don’t “copy up” as a means of coercion. It’s one thing to copy someone’s boss as a courtesy. I do this whenever I am making an assignment to someone who is not a direct report. (I don’t want their boss to think I am going around them, but I also don’t want to bog my communication down in bureaucratic red tape.) But it is not a good idea to do this as a subtle—or not-so-subtle—form of coercion. You may be tempted to do this when you don’t get a response to an earlier request. But I would suggest that you will be better served to pick up the phone and call the person. If they are not responding to your e-mails, try a different communications strategy. Sometimes, it works to send the copy to the boss and expect a response. But, It’s is not the right way. If you really need other’s boss to get into this, talk to him separately and get him into this. Don’t send or forward emails containing libelous, defamatory, offensive, racist or obscene remarks. If you do so, you can put yourself or your company at risk. You could be sued for simply passing something along, even if you aren’t the original author. Remember that company e-mail isn’t private. You have no legal protection. Remember that company e-mail isn’t private. You have no legal protection. Anyone with sufficient authority or access can monitor your conversations on company-owned servers. If you need to communicate privately, then get a free account at Gmail. Use it for anything personal or private. Use your spell-checker. I take my correspondence seriously. It reflects on me. As you grow in the ladder, the bar is even higher. If I misspell words, use bad grammar or punctuation, then it reflects negatively on me and my company. Lapses in grammar or punctuation can be forgiven. But misspelled words are just too easy to correct. That’s why God gave us spell-checkers. Make sure yours is turned on. 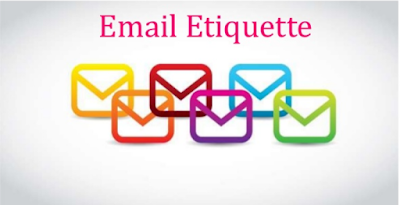 If you have other e-mail etiquette suggestions, please post a comment at the end of this post. If there’s something that drives you crazy, I’d like to hear about that as well. Most of us, I’m sure to have ideas that can make e-mail a more civilized, effective tool for communication. Whether you’re a published author or just getting started with blogging, it’s not always easy to string words together in a way that makes sense, sounds good, and makes the reader feel something. But every marketer should be able to write — and, more importantly, every marketer can write. It’s just a matter of finding the writing environment that works best for you, expanding your vocabulary, asking for feedback (and listening to it), and practicing. Want to get into the habit of writing every day, but don’t know what to write about? Daily Page emails you a writing prompt every morning, and you have the rest of the day to write your response. Once you’ve written your response to the prompt, you can either share it or keep it private. Another way to practice your writing is to do a “brain dump” exercise using a tool like 750 Words. “Brain dumping” means getting all that stuff in your head down on paper — without having to worry about incomplete ideas, tangents, and private stuff. It’s not blogging or status updating — it’s just you, writing whatever you want on a totally private account, without ever having to title your content or tag topics or share with your friends. 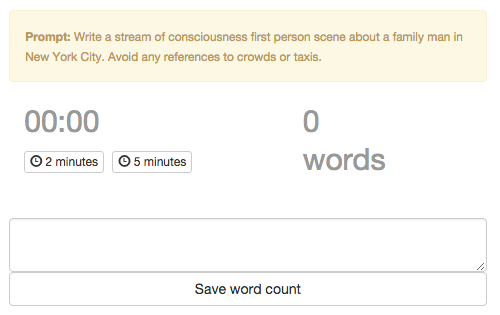 What it does do is track your word count so you’re sure to write 750 words (about three pages of writing). Plus, it’s gamified, which makes it kind of fun: You get a point for writing anything at all, two points for writing 750 words or more, and more points if you write consistently. And every time you write, it’ll give you some cool statistics on how much time you spent writing, the feelings and themes of your words, and so on. Publishing content on a consistent basis is crucial in the blogging world. Our own research concludes that companies that commit to regularly publishing quality content to their blogs tend get the most website traffic and leads — and those results continue to pay out over time. Tools like Twords can help bloggers commit to writing consistently. Twords calls itself “the app that nudges you to write.” It notifies you when you haven’t written in a while so you can keep yourself accountable — and even gives you the option to connect with others who will help keep you accountable. 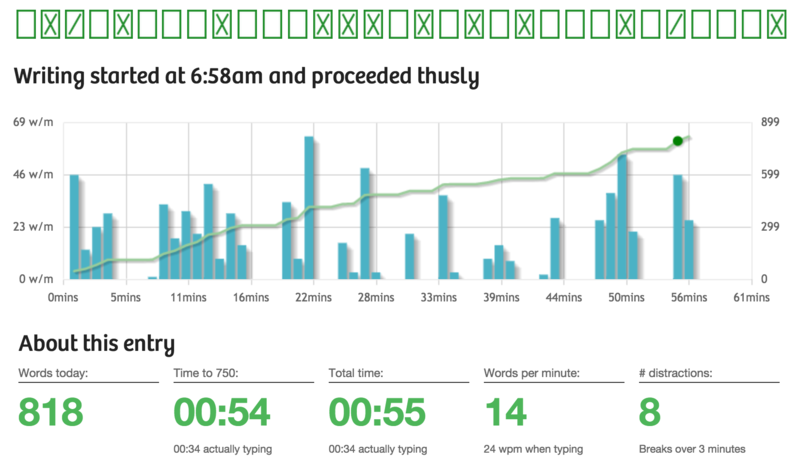 It also tracks your writing so you can start to see patterns for the days you’re blogging more versus less, and so on. Finally, it includes some cool resources like a prompt library and articles about habit formation, writing resources, and so on. I read about a “Swipe File” on the “Kopywriting Kourse” blog and loved the idea. Basically, a swipe file is just a folder where you can curate cool stuff you come across, like advertisements, copy, emails, etc. “Save things that make you click, sign up, laugh, or go ‘whoa! '” says the post. The purpose? To flip through it for inspiration. A swipe file can be physical or digital. A physical swipe file would be something like a folder or envelope where you can keep print ads, pieces of copy, letters, and so on for inspiration. A digital swipe file on desktop would be a digital folder, like one on your desktop. Whenever you see something interesting, screenshot it (by pressing Command + Shift + 4 on a Mac or Ctrl + Shift + 4 on a PC) and dragging that screenshot to your swipe folder. A digital swipe on your mobile device is good for all the stuff you see when browsing the internet on your phone or tablet. 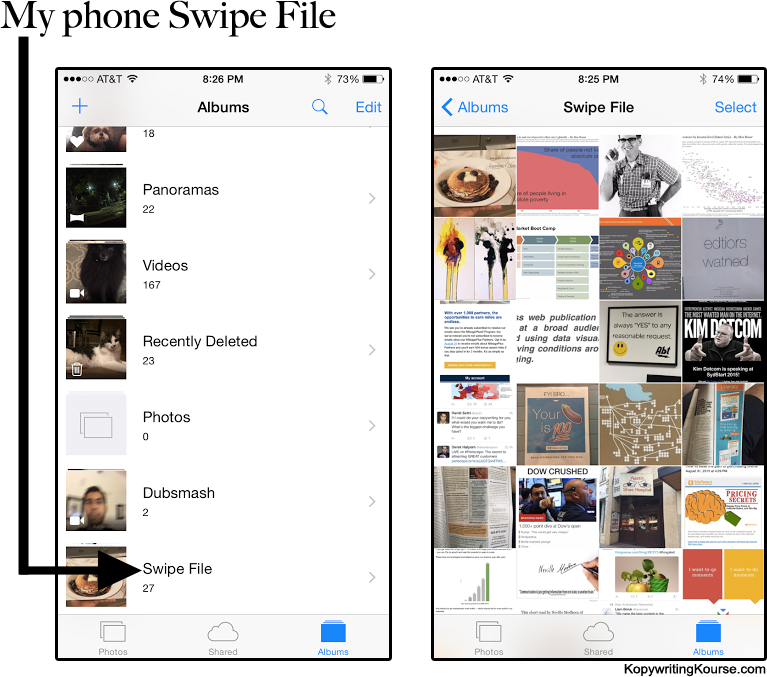 The author of the post, for instance, created a specific folder in his iPhone and made a Phone Swipe File there. He stores screenshots when he sees something on mobile that grabs his attention. What better way to make sure you’re writing about stuff your audience actually wants to read than by actually asking them? When you create a profile using Help me Write, you can post ideas of what you’re thinking about writing about. Then, you can share those ideas with your network via Twitter, Facebook, email, and so on — and ask your networks what they’d like to read most. They’ll be able to vote on their favorites, and you’ll be able to pick topics and better manage your time. Do you have an overarching theme or keywords in mind for your next blog post, but you’re not sure at which angle to tackle it? HubSpot’s Blog Topic Generator could come in handy. Simply type in three keywords, and the tool will auto-generate five potential topics for your post. If you’re not keen on the suggestions, you can always click “Try Again” and it’ll give you five more topics. Writing efficiently and organizing well is a part of writing well. Use a tool like Trello to collect content ideas, assign them to different members of your team, attach due dates, collaborate with other team members, track their progress, and move them from conception to completion. Here at HubSpot, we add all our blog post ideas to Trello, turning each idea into a card that we can expand on with notes and move from list to list with a simple drag-and-drop. There are many ways you can use Google Docs to improve your writing. For example, you can use the research tool to do online research on the topic you’re writing about, find quotes or educational information, and so on (see #4 on this list). You can use it to request edits or comments from your peers. It even has a built-in dictionary. One of my favorite ways to use Google Docs to improve my writing is by crowdsourcing ideas from my coworkers. Here at HubSpot, the blogging team uses this method all the time — and it shaves off a significant portion of research time that goes into curated posts. The result? Better examples and more comprehensive posts with less effort. Speaking of crowdsourcing, Quora is a great place to go for crowdsourced answers if you want to reach outside your network. Simply search for a keyword, follow topics related to the topics you’re interested in, and/or post your own questions. If you’re looking for answers from inbound marketers specifically, inbound.org is a great place to source answers from professionals. Here’s an example of a post where the author asked about people’s productivity and time management habits. 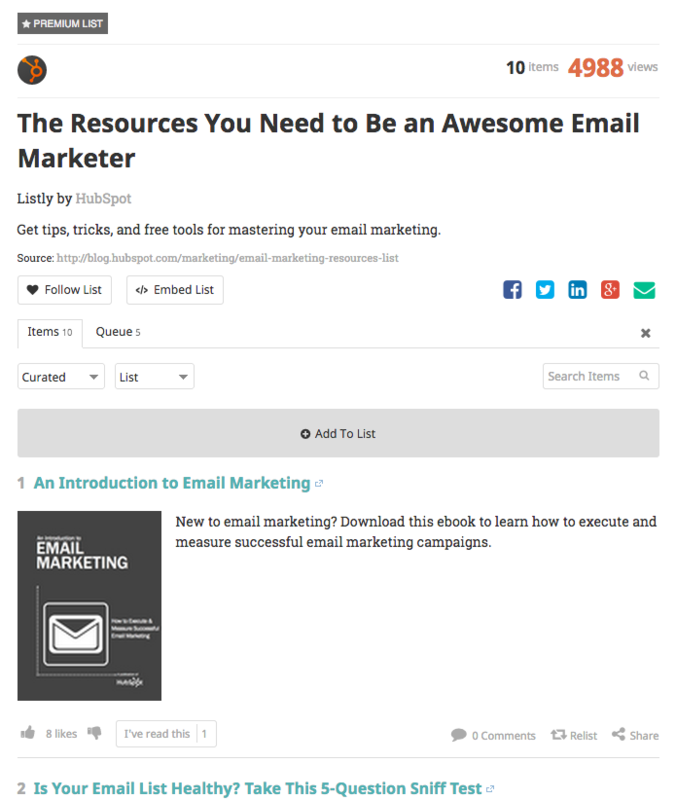 If you’re all set on a topic but need help with organizing your writing so it’s interesting to read, you may want to check out Hubspot’s free, downloadable blog post templates or ebook templates, depending what you’re writing. The blog post templates will give you an outline of five different types of blog posts: how-to posts, listicles, curated collections, SlideShare presentations, and newsjacks. The ebook templates are available as both PowerPoint and InDesign files. All you have to do is paste in your text, drop in your images, add your company’s logo, and voila — a finished ebook. For HubSpot customers, Composer is a new distraction-free writing tool that helps writers easily turn their brainstorm ideas and research notes into a blog post. 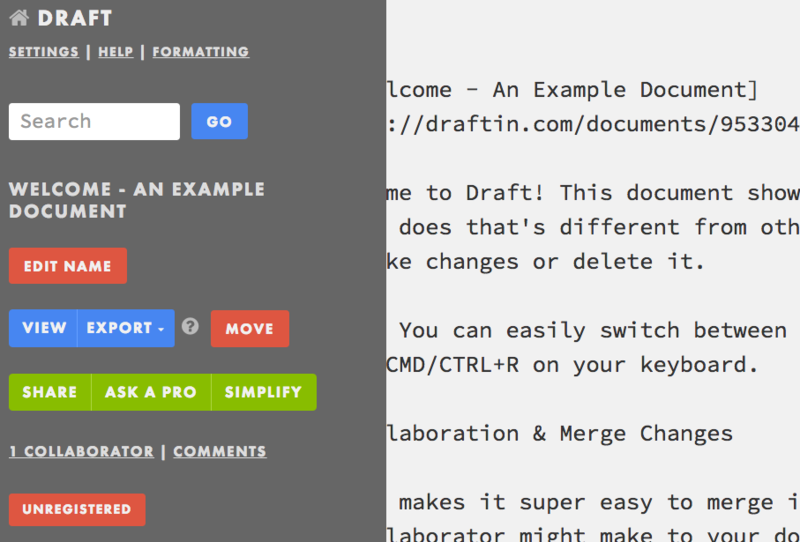 Composer handles the work of formatting drafts into blog posts — users can copy and paste text from Microsoft Word or Google Docs into Composer, and Composer will automatically reformat them for blog publication with the press of a button. If you’re writing something that includes an interview with someone else, oTranscribe is a great tool that’ll make the transcription process much less painful — allowing more time for your own writing and analysis. There are a lot of transcription tools out there, but this one is one of my favorites. It’s a web app for transcribing interviews created by Elliott Bentley, a graphics writer at Wall Street Journal. The audio player is integrated with the editor meaning you won’t have to click back and forth. You can pause, play, rewind, and fast-forward using keyboard shortcuts. 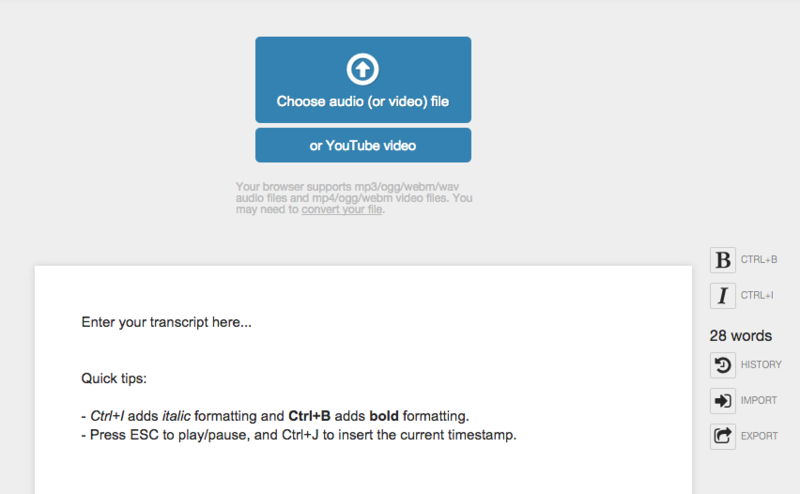 Every second, it automatically saves the transcription to your browser’s storage. You can export it to plain text or Google Docs. Finally, it’s open source under the MIT license. 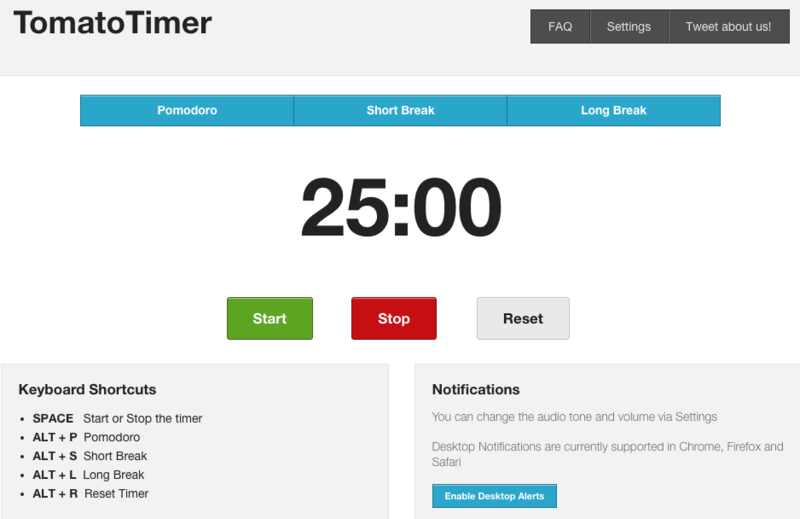 If you like to write with a little pressure (or you’re just on deadline), then tools like e.ggtimer.com and Tomato Timer are useful (and free). Both of these tools offer a “pomodoro” option, which refers to the Pomodoro technique: a time management technique created by Francesco Cirillo based on periods of distraction-free work followed by short breaks — which is supposed to be optimal for productivity. 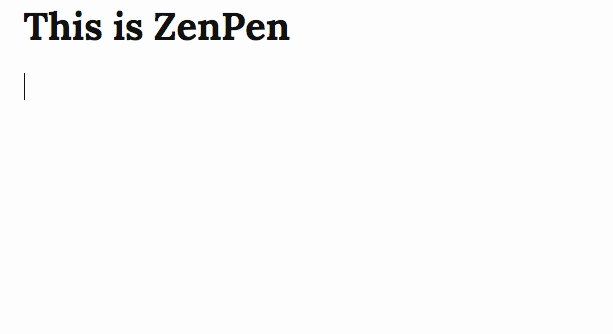 If you don’t do well with distractions while you’re writing on a computer, then use a tool like ZenPen to help block out all the distractions and focus on your writing. It’s a web app that gives you a “minimalist writing zone.” There are a few, minimalist features available to help you stylize the text, add hyperlinks, and block quotes. Once you’re done, simply copy the text and paste it in your blog editor or wherever you’d like it to go. Power Thesaurus isn’t just any thesaurus: It’s a crowdsourced thesaurus that provides alternative word choices from a community of writers. The word suggestions are totally original, and are based on the editorial work of a team of writers and years’ worth of reviews visitors’ suggestions. But hey, when you want a good ol’, regular Thesaurus, you can’t beat Thesaurus.com. In addition to its thesaurus functions, OneLook Thesaurus also has a “reverse dictionary”: users can type in a definition or group of words related to the word they’re searching for and find the right word for their piece. Users can also type in a category of items, and OneLook will serve up multiple words that fall under that umbrella. For example, here’s what happens when you search for “study animals.” OneLook then ranks synonyms according to how related or distance they are from the original search query. This is a great tool for when you have that “what’s the word for this?” moment and can’t bug your deskmate. Here’s another help that’ll help you if you get stuck on a word and don’t want to leave your browser or skim through synonyms. If you type using Twinword Writer, it’ll automatically sense if you pause because you’re stuck on a word. Then, it’ll analyze the context of your writing and open a box suggesting alternate words you can use. You can also click any word to get suggestions. If you like typing out posts or ideas using your iPhone and tend to hit a wall in the middle of a thought or idea, this $2.99 iOS app may be worth the investment. 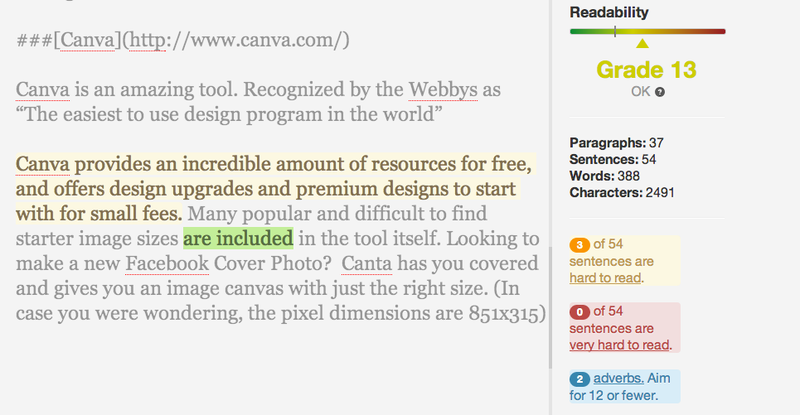 It uses an algorithm to make suggestions for what you should write next. It also tracks stats about your writing habits, can remind you to write regularly if you allow it, and lets you schedule the best day and time to write based on your writing history. You may also find you want to include a quote from a famous author, politician, celebrity, or other public figure to strengthen your writing or inspire your readers. BrainyQuote is a library filled with millions of interesting quips that you can search by speaker (from Aristotle to Dr. Seuss to Audrey Hepburn) or by topic (like peace, success, leadership, and more). Ernest Hemingway, admired for his succinct writing style, is the namesake for this handy editing app. Want to make your content more easily readable? Paste your text into this free web app and it’ll assess your writing and identify opportunities to make it simpler. First, it sums up how readable your writing is with a grade. Then, it suggests how to improve readability. 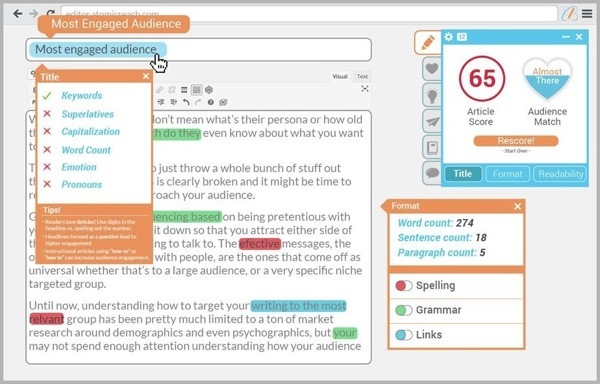 Here’s another tool that’ll assess your writing — but this time, it’ll assess it depending on your specific target audience’s reading level and which content they relate to the most. After all, writing for your target audience is an important part of content marketing. How? Simply hook up your Google Analytics and social media accounts to AtomicWriter, and then paste your content into the app. It’ll analyze your historical data and engagement data from those accounts, and then tell you whether it’s suitable for your target audience. Here’s another tool that evaluates your writing, but it boasts some unique features that differentiate it from the tools above. For example, ProWritingAid highlights overused words, redundancies, plagiarism, and sentence length, making it easy for writers to identify trouble areas and strengthen them. The free version of this tool only analyzes 3,000 words at a time, so the $40 investment per year for Premium may be worthwhile if users publish multiple pieces of content per month. Once the actual writing part is done, it’s time to edit. While human editors will be able to catch most grammatical errors, editing tools like Grammarly and Correctica are great tools for triple-checking before you press “publish” or “send.” Both free tools check for grammatical errors — and Grammarly even checks for plagiarism. When you upload your document to draft (from cloud services like Dropbox, Evernote, Box, or Google Drive), there’s a lot you can do with it. You can edit your document, share it with colleagues or friends, and manage your friends’ suggestions — much in the same way you can with Google Docs. Unleashed too many clichés in your most recent piece of content? To help your writing be more specific, it’s generally best to avoid clichés. To ensure you leave no stone unturned, paste your text into Cliché Finder and it’ll highlight any you missed so you can replace them with more specific text. When you’re creating list posts — like this one — it’s easy to hit a wall. Sure, you know there are other great examples out there, but you’ve already exhausted the ones you know of. With Listly, you can invite your audience to contribute to your list. The Listly community can then vote on list items to move them up the list. You can either embed the interactive list in your post or use it do conduct research before you publish to ensure that the examples, items, or tips you’re including are the best of the best. The more content your business puts out, the more consistent that writing and messaging should be. This includes everything from what official names to call your products or services, down to whether to use an Oxford comma. At some point, most companies accept that they’ll need to develop a writing style guide: a document that indicates the basic rules of writing we’ll all agree to follow (like whether I should’ve capitalized the “a” after the colon in this sentence). Most businesses adopt either the AP Stylebook, or the Chicago Manual of Style. If you want to customize your style guide. If you type “how to improve writing skills” into Google, you’ll notice that there are almost six million search results. WritePls has organized the best of the best articles about writing into specific categories for different writing types (fiction, nonfiction, and emails), as well as articles about general writing, growth hacking, and resources for ebooks and online education. This is a great home base for new and experienced writers alike. Blogging and email writing are two very different crafts, and WritePls has collected a variety of great resources to help any writers working on any type of project to refer to in a one-stop shop.